When you were little, you were always decked out in Oklahoma Sooners gear. 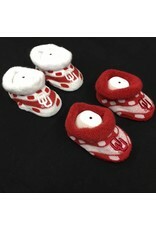 Now it's time for the newest fan in your life to show off their team spirit. 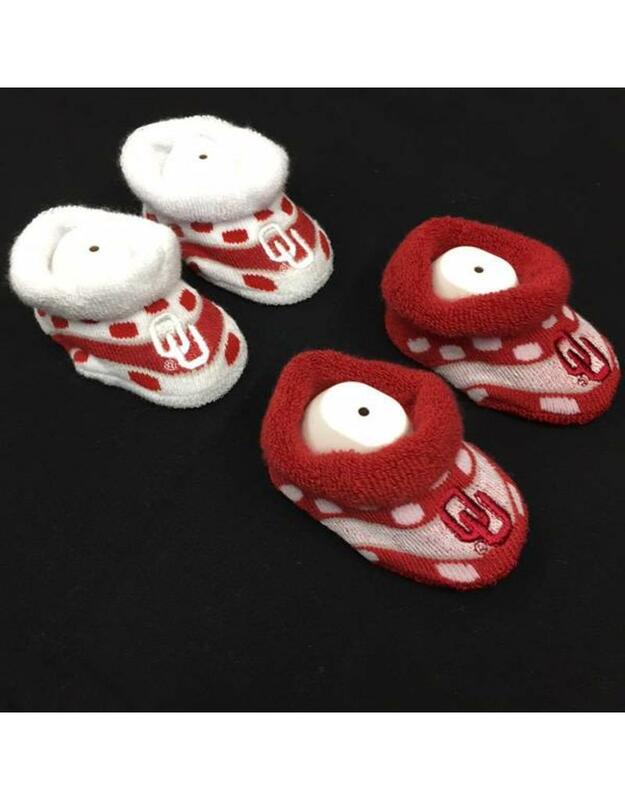 Featuring awesome OU graphics on the front, these knit baby booties will definitely keep the feet on the littlest fan you know nice and warm!